Accommodation at Casa de Lamas. 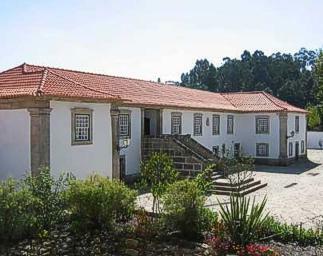 Casa de Lamas is a manor house built in the last quarter of the 17th century, set in a vast agricultural property, now converted to receive guests. The property’s origins, however, date from the 15th century. Since its construction, the house has remained in the same family and has been entirely restored some years ago. Traces of different architectonic styles have been preserved during restoration. Casa de Lamas has a well maintained traditional garden, common feature to all manor houses of the region. Inside, the house has spacious areas, all beautifully furnished and decorated, some details being an interesting reminiscence of the past. Accommodation consists of three twin bedrooms, one double bedroom and one suite. On the upper floor there is one suite with a twin bedroom with shower room and a beautifully decorated living room with views to the garden. On the lower floor there are three twin bedrooms and one double bedroom all having private bathroom. The dining room, where breakfast is served, is located on the upper floor. Optionally breakfast may be served on the outdoor covered pateo. There are two living rooms on the lower floor with television and games table. - The two bedroom cottage, called Quinteiro, has two floors. On the lower floor there is a living room with television and games table. The kitchen has a four ring electric hob, fridge and microwave. On the upper floor there is one twin bedroom with private shower room and one double bedroom. The twin bedroom can take an extra bed. There is also a living room with a sofa bed and a shower room. - The “Adega” has 1 twin bedroom with bathroom, a living room with television and games table and a kitchenette with a two ring electric hob, a fridge and a microwave. - The “Lagar” has a living room with television and games table and kitchenette with a two ring electric hob, fridge and microwave on the lower floor. On the upper floor there is a double bedroom with bathroom. This bedroom has also a small bed suitable for a child. - The “Alambique” has one double bedroom with bathroom and one living room with television and a kitchenette with a two ring electric hob and a microwave. In the property there is a room containing a remarkable collection of farm artifacts featuring a few remarkable hollow tree trunks used in the past to store cereals. The swimming pool is set in a lawned area, measuring 12 by 6 meters (39,37 by 19,69 feet) with depth varying from 1 to 1,7 meters (3,98 to 5,58 feet). The tennis court is set in a wooded area approximately 50 metres (164 feet) away from the main house. Nearest restaurant is approximately 150 meters (493 feet) away. The Port wine producing area is approximately 2 hours drive away. While in the area, opportunity should be taken to visit the historic centre of Guimaraes, which has UNESCO world heritage status. Further northwest is the interesting town of Braga, the ecclesiastical capital of Portugal. The town’s sanctuary of Bom Jesus do Monte is one of Portugal’s most spectacular religious sanctuaries. The golf course in Amarante, is approximately 50 kilometers (31 miles) away. Rates are in euros and are 'per room/cottage per night' including taxes. Breakfast included except in the cottages. Lovely house with surrounding gardens and walks. Too cold for pool but looked inviting. Sun shade put out each morning just in case. Only adverse comment would be lack of facilities for self catering in kitchen. I doubt if anyone has ever cooked a meal there. Slightly out of the way but good motorways to all areas within an hour. Quiet in general except when maid who must sleep at the end of the building had a loud party presumably forgetting that there were people asleep above but stopped as soon as reminded with a heavy knock on floor! Extremely pleasant place to stay. Would possibly benefit with a list of places to visit, buy food and eat but minor problem. Good value for four with two bathrooms and delightful helpful owner. Perhaps we should have taken affer of breakfasts but we left early on two mornings for river trips.